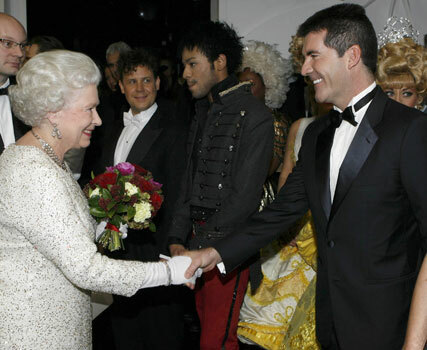 The Queen has been forced to deny that she snubbed Simon Cowell at the Royal Variety Performance. Speaking on Jay Leno’s US chat show, the X Factor judge claimed that the Queen ignored him as he lined up to meet her at the event in 2007, and that Prince Phillip called him a sponger. The furore first erupted this week, with Piers Morgan describing the meeting in published extracts of this new memoir. Morgan claims that the Queen, ‘didn’t have a clue’ who Cowell was, adding that she ‘shook his hand with a bemused half-smile and moved swiftly on to me’. The Prince allegedly then called Cowell a sponger in reference to his role in Britain’s Got Talent winner, Paul Potts’, career. Again, the Palace has spoken out on Cowell’s claims, confirming, ‘I spoke to the Duke of Edinburgh and he has no idea what this is about.